Trump is rumored to be considering Herman Cain for a position on the Federal Reserve Board. For a number of reasons, this would be Trump’s single most perfect nomination. In Kansas City, Cain was known as an inflation hawk who was constantly lobbying for higher interest rates. Even during his presidential run in 2011 — when the unemployment rate sat near 9 percent, and inflation was virtually nonexistent — Cain argued that the central bank must raise interest rates to protect the value of the currency, and leave job creation to the job creators. Trump is an ultra-dovish person, at least while he is President. That makes Cain perfect, as Trump often nominates people with diametrically opposed views on the key policy questions. You might argue that Cain is corrupt and will do Trump’s bidding. But that would also make him perfect for the job. Cain has other qualifications as well. Like Trump, Cain is “not a reader”. Reading can interfere with one’s understanding of monetary policy, better to leave reading to the staff. Cain was also responsible for my all-time favorite campaign commercial, involving a cigarette. PS. I wonder how long it takes for someone who doesn’t realize this post is a spoof to rake me over the coals for not being politically correct. There are times I wish I lived in France, where a top official who doesn’t read is considered a bigger scandal than smoking in a campaign commercial. PPS. Off topic, I wonder if this would allow me to monetize my blog. PPPS. 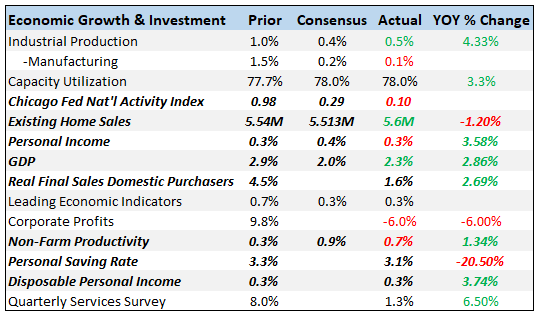 The new wage growth numbers (up 3.2%, yoy) continue to impress—still no sign of a slowdown in the economy.